The success of Ramdev's Aastha and Sanskar TV have spawned a flurry of religious TV channels, each looking to carve out a piece of the spirituality business. New Delhi: Baba Ramdev took India by storm in the early 2010s. 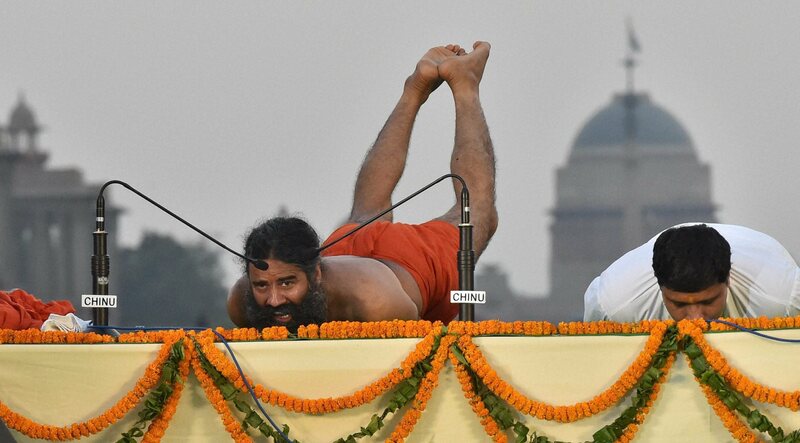 His shirshasanas, or headstands, have extended far beyond the world of yoga, upturning India’s multi-billion-dollar consumer goods industry. Over the years, Ramdev has adopted many avatars: Hindu ascetic, anti-corruption crusader and the guiding force behind the Patanjali empire. But when the final chapter of his story is written, his role as a low-key media mogul, beaming commodified spiritual content to India’s masses, may be end up being the most interesting. Over the last two decades, India’s devotional TV industry has boomed and rapidly evolved, with Ramdev’s journey being symbolic of how the sector has changed. The billionaire yogi has always had a strong bond with media. His tryst with television goes back to 2002 when he was spotted by Aastha TV’s founding editor Madhav Kant Mishra, who met him at one of his small yoga shivirs in Haridwar in early 2002. “My first impression about Ramdev was that he can make it big. I found two of his traits sellable: firstly, he was a ‘sanyasi’, and secondly, he was able to do ‘nauli kriya’, churning his stomach. The moment I saw him doing it, I knew he would be a big hit. However, the top management was not convinced and we lost Ramdev to our rival channel – Sanskar TV,” Mishra says. Back then, it was a gamble for Sanskar to bet on an unknown yoga guru from Haridwar. But the show was a huge hit, and the channel’s TRPs were going through the roof. Stunned by his sudden rise in popularity, Aastha TV realised its mistake and poached him for the same slot within a year. It was through these two channels that Ramdev found his mass following. Though Ramdev is now more popularly associated with all things ‘Patanjali’, his yoga guru image on devotional TV channels is the oldest of all his avatars. Around 25 years ago, Ramdev started his self-appointed mission of popularising yoga and Ayurveda in India. In 1995, he founded the Divya Yoga Trust along with with Acharya Balkrishna and Karamveer in Haridwar. He would have still been in Haridwar, like many of his other peers in the holy city, had the appearance on Sanskar TV not happened. Cut to 2019. Ramdev has owned both Sanskar and Aastha TV for some time and has aggressively expanded the ambit of his media business since these two acquisitions. He has a controlling stake in and operates 10 Hindu devotional channels. The gamble taken by Sanskar TV not only changed the fortune of the channel and Ramdev but also shaped this segment as whole. Now widely recognised as industry pioneers, both channels launched in the mid-2000s. Within a few years, they were followed by a flurry of similar-looking and sounding competitors. Every telegenic yogi looking for a bigger audience has tried to replicate Ramdev’s success, and every new devotional channel wants to become the next Aastha or Sanskar TV. With over 50 devotional TV channels battling it out now, the question that is being asked is whether each will find a path to a profitable future. Before the early 2000s, there were no fully dedicated TV channels for religious content. Till then, spiritual and devotional content was restricted to early morning programming, usually on the weekend slots of general entertainment channels. Aastha TV and Sanskar TV were the first to start full fledged channels telecasting shows on spirituality 24×7. The former was launched by Kirit C. Mehta, a Dubai-based businessman, in June 2000 and he ran it till early 2006, which is when Ramdev bought the channel for Rs 16 crore. Sanskar TV changed hands once before falling into Ramdev’s kitty in 2015. It was founded by Dilip and Dinesh Kabra along with Kishore Mohotta and bought in 2008 by the Aditya Pittie-led Pittie Group. The Pittie Group, which has deep business links with the Patanjali Empire, finally sold it to Ramdev. Ramdev currently operates his media businesses through three entities – Vedic Broadcasting Ltd, Aastha Broadcasting Network Ltd. and Sanskar Info TV Private Ltd. Similar to Patanjali Ayurved, Ramdev doesn’t own any stake in these companies and the majority of the shares are owned by Acharya Balkrishna and companies controlled by him. Apart from these, Sanskar Info TV has recently acquired another devotional TV channel – Shubh TV, according to multiple industry sources. Shubh TV was owned by the Pittie Group, the entity which had earlier sold Sanskar Info TV to Ramdev a few years ago. When contacted, Patanjali did not confirm the development and declined to participate in the story. The basic economics behind a devotional TV channel is unique. It differs in two crucial ways, when compared to the rest of the broadcasting industry. Firstly, content is free for all devotional TV channels. By contrast, other channels either produce their own content or pay for their content. For instance, a sports channel usually purchases the broadcasting rights for a sporting event. A general entertainment channel buys the television rights for a movie or invests its own money to commission and produce a TV show. Secondly, devotional TV channels are not dependent on advertising revenues. They sell advertising slots but these usually account for a modest share of the company’s total revenues. While content is free for these channels, one major area of expense for them is distribution cost, which they have to pay to DTH and cable operators, and teleporting fees for uplinking and downlinking their content on satellites. “Even for market leaders such as Aastha TV, Sanskar TV or Sadhna TV, advertisements form only 10-20% of their topline. New and smaller channels hardly earn anything through advertisements,” an industry veteran, who declined to be identified, told The Wire. A 20-minute slot for a month on bigger players costs around Rs 4.5-5 lakhs and as we go down the order, the rates are as low as Rs 30,000-50,000 for a similar slot on new and smaller players in this space. A similar discrepancy can be seen in the advertising rates as well. A ten second advertisement once each day for a month costs approximately Rs. 80,000 on Aastha TV and approximately Rs. 1,15,000 on Sanskar TV. An advertisement slot on Sadhna TV and Bhakthi TV will cost around Rs. 50,000 while the same slot on Disha TV is available at half of the price, according to data sourced from media buying agency The Media Ant. The bulk of the money that devotional TV channels get, therefore, comes from ‘slot sales’. “The main revenue model for these channels is the babas themselves. Can you imagine an IPL organiser coming to a sports channel and being willing to pay for getting its matches on air? That becomes a reality in case of a devotional TV channel,” the senior industry insider added. On the more popular channels, not even one second of a time slot is run for free. It is invariably a paid slot that is purchased by a spiritual guru or an advertisement slot bought by a brand to promote its product to the audience. Technically-speaking, everything on a devotional channel is branded content. Spiritual gurus, in particular, are eager to pay the channels for promoting their brand. “There was a time when there used to be an unofficial auction for a slot on Aastha and Sanskar TV. Spiritual gurus and babas used to aggressively quote rates higher than their so-called rivals to get a slot ahead of them. A slot on these channels became a gold standard for spiritual gurus,” said Madhav Kant Mishra, Aastha TV’s founding editor who has also worked with other devotional TV channels such as Sadhna, Katyani and Disha TV in his three decade-long career. Soon, other entrepreneurs saw an opportunity and there was a flurry of new devotional TV channels. Their initial business plan was centred around selling slots to those who failed to get one on Aastha or Sanskar TV. Currently, the Indian devotional TV industry has three types of owners. The first is a yogi or guru who is interested in starting his own TV channel. The second is a businessman who already has existing media interest and wants to add a religious channel as an additional offering. The third type of owner is a businessman who usually runs a totally different type of business but happens to be an ardent follower of a spiritual guru, and hence, starts a religious channels to show his gratitude towards his guru. Industry insiders say that gurus who launch a TV channel by himself usually has an upper hand over others as they already have a set number followers to give an initial boost to their TV channel. “There is no guarantee for success even for baba-owned TV channels. Ramdev is running it successfully but he also has a fairly large and successful FMCG to fall back on. But there have been instances defying this assumption,” said Mishra. For example, Sri Sri Ravishankar, famous spiritual leader and founder of the Art of Living Foundation started Anandam TV with Media Guru Broadcasting Pvt. Ltd. in 2011. It didn’t work out well though, and the channel shut shop within a few years. The information and broadcasting ministry cancelled its licence in September 2018. Another devotional channel – ‘Peace of Mind TV’, launched in 2014 – is backed by areligious organisation called Bramha Kumaris. The channel is among the most viewed devotional TV channels, according to BARC data. However, the channel never focused on monetising and is nowhere near Ramdev’s channels and many others in terms of turnover. Devotional TV channels say ultimately the industry is a low margin business and it takes a long time to break even. “For us, advertising revenue is almost nil and slot sales is the only source of revenue. When we do get ads, it’s usually teleshopping ones,” said Rohit Rohan Srivastava, CEO – Veecon Media and Broadcasting. which runs Katyayani TV and was earlier running Harvest TV (a Christianity focused devotional TV channel which has now converted into a news channel – Tiranga TV). “We are focusing on revamping our content now. We have recently bought rights for various religion oriented TV serials. We want to differentiate ourselves from so many other devotional TV channels which simply broadcast speeches of spiritual gurus or devotional songs on their channels,” he added. Veecon Media and Broadcasting earned revenues worth Rs 3.76 crore during the year 2017-18 and posted a loss of around Rs 37 lakhs, according to the company filings with Registrar of Companies (RoC). While Aastha TV and Sanskar TV occupy the the top slots in terms of viewership, Sadhna TV in the north and Bhakthi TV down south have managed to match their popularity to some extent. Bhakthi TV was launched in 2007 and is run by Narendra Choudary Tummala-owned Rachana Television Network, which also runs a Telugu news channel called NTV and a woman-oriented channel called Vanitha TV. Sadhna TV is run by Sadhna Broadcasting Ltd., owned by Rakesh Gupta. The BSE-listed company also operates devotional channel Ishwar TV along with three other news and entertainments TV channels. The company launched Sadhna TV in 2003 and then Ishwar TV in 2010. Sadhna Broadcasting recorded a turnover of Rs 55.2 crore during 2017-18 and posted a net profit of a little over a crore, according to the company’s annual report. Rachana Television Network earned a total revenue of Rs 68 crore and a net profit of around Rs 7 crore, during the same period, according to the data sourced from RoC. “It’s a very low margin business business. We have more than ten TV channels in our ambit, which not only includes devotional channels but news and general entertainment channels as well. That allows us to offer a bouquet of advertisement slots to our clients. It makes it easier to get advertisements for our two devotional channels while others in the industry are struggling to do attracts advertisers,” said Gaurav Gupta, promoter of Sadhna Broadcasting Ltd.
It’s true that Ramdev’s media businesses do not generate as much revenue as its FMCG wing, Patanjali Ayurved Limited. His three media companies together earned around Rs 80 crore during 2017-18. This is just about 1% of the Rs 8,135 crore turnover that Patanjali Ayurved clocked during the same year. Nevertheless, Ramdev’s media business maintains high profit margins, defying industry norms. Sample this: Sanskar Info TV posted a profit of Rs 8.7 crore on a turnover of only Rs 33.4 crore, a massive 26% profit margin, during 2017-18. Vedic Broadcasting earned a net profit of Rs 6.2 crore on a turnover of Rs 42.7 crore, 15% of profit margin, during 2016-17. However, its profits reduced to Rs 2 crore in the subsequent year on a turnover of Rs 38.2 crore, according to the data sourced from RoC. “The only reason behind high profit margins for Aastha TV and Sanskar TV is the ‘Patanjali Effect’,” said the owner of a devotional TV channel, who did not wish to be named. “Patanjali is the biggest advertiser on its sister channels and Ramdev himself occupies a major portion of time slot on these channels. All this is notional revenue for them as nothing is actually coming in the company and the money is rotating among sister companies. Nothing is illegal but it helps them in maintaining high profit margins,” he added. Another industry expert and an ex-owner of a devotional TV channel says that Aastha and Sanskar TV had the first-mover advantage and thus are able to command a premium on slot sale and advertising slot prices, and also have immense scope of negotiating the distribution fees with DTH players. None of the DTH players can afford to lose them from their platform. Additionally, Aastha Broadcasting also owns a teleport license, which helps it save another major expense, while other players in the industry outsource teleport services to companies like Planetcast Media, Indiasign etc. The teleport licence allows the company to further add a minimum of 10 new television channels using existing bandwidth. Does this mean there is no scope for others players to survive? “Aastha TV and Sanskar TV still command premium over other players but we don’t even want to compete with them, and want to compete outside the two top slots. 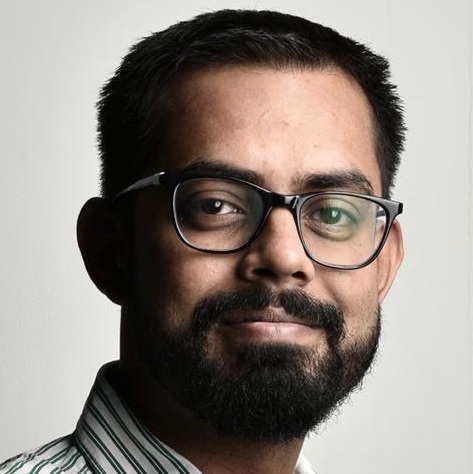 There is enough scope for other players to sustain in this market, especially in non hindu devotional channels space,” said Akash Jain, who has been running a Jain religion devotional channel called ‘Paras TV’ since 2010. It had also launched a Hindu religion TV channel, ‘Jai Paras’, two years ago. Paras TV is the oldest and the most viewed Jain religion devotional channel, even ahead of Arihant TV (owned by Ramdev) and Jinvani TV (owned by Pankaj and Neeraj Jain-led Sea TV Network). Arihant TV which started as Jainism focused devotional channels has now switched to become a Hinduism focussed channel since the past few weeks. Among non-hinduism devotional channels, some of the most popular names are Chennai-based Goodnews Television group managed by father-son duo Nehru and Ashvin Dhyriam. The group runs four Christianity-focussed devotional channels: Subhavaarth (Telugu), Shubhsandesh (Hindi), Nambikkai (Tamil) and Goodnews (English). The group logged a turnover of around Rs 12 crore during 2016-17 and a profit of a little over Rs 5 lakh, RoC data shows. Another player would be Channel WIN, owned by World Islamic Network broadcasting devotional content catering to Islam. Launched seven years ago, channel Win earned a total revenue of almost Rs 2 crore during 2015-16, the latest data available with RoC. Another popular non-Hinduism devotional TV channel is India’s first religious channel on Buddhism — ‘Lord Buddha TV’, which is rapidly gaining popularity. Launched in 2015 by Nagpur-based Sachin and Raju Moon along with Bhaiyaji Khairkar, the channel is already profitable and has logged a turnover of almost Rs 1 crore during 2017-18. Though multiple channels have cropped up in the devotional channel space, traditional media players are still vary of adding a devotional channel in their portfolio. Other than Zee Entertainment, none of the media giants have tried entering this category. Zee Entertainment had launched Zee Jagran, a Hindu religion devotional channel in 2003 and launched Zee Salam, an Islamic devotional channel in 2010 but by 2014 it started showing non-Muslim content on Zee Salaam and decided to shut down Zee Jagran, a year later. “One of the reason behind bigger media houses shying away from this is the ‘Brand Baggage’ they carry with themselves. The operational cost for running a channel for them is extremely high. They use expensive equipments and technologies. Even the employee cost is high for them. This reduces their margins even further in an already low margin business,” said Jain. Secondly, running a devotional channel does not give them the power and reach which a news channel or a GEC can provide them and it is a long gestation period and a low margin business. The business doesn’t fit in their return-on-investment expectations and was never enticing for them, said Gupta. Patanjali’s clout in Hindu devotional channels has served the group in more ways than one, and can be considered as the precursor to (and a significant boost) to its FMCG wing. It has successfully managed to keep rivals in check, and continues to grow its dominance and entirely own the segment by buying out competition. While other have managed to figure out a differentiating niche, it is highly unlikely that it will become a significant competitor for the incumbent. Jyotindra Dubey is a business journalist.